It's almost 2016! 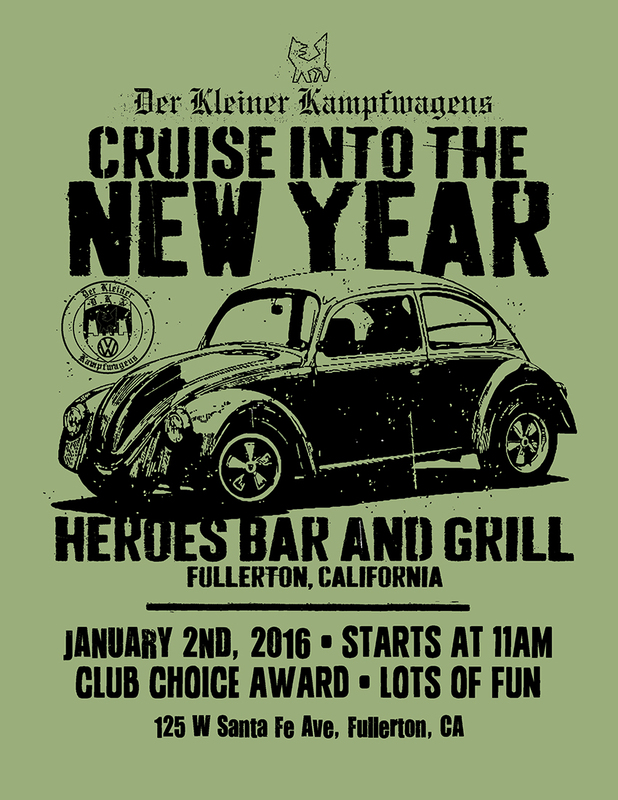 Come celebrate with Der Kleiner Kampfwagens and bring in the New Year on Saturday, January 2nd, 11:00am @ Heroes Bar & Grill - 125 w Santa Fe Ave Fullerton, CA. It's gonna be a another great day...!!! "I am on a drug, it's called 'Volkswagen.' It's not available 'cause if you try it once you will die. Your face will melt off, and children will weep over your exploded body." Had a really good time, best way to kick off the new year ! I even got to be a "DEEK for a Day" --- my survivor black '67 in the square.